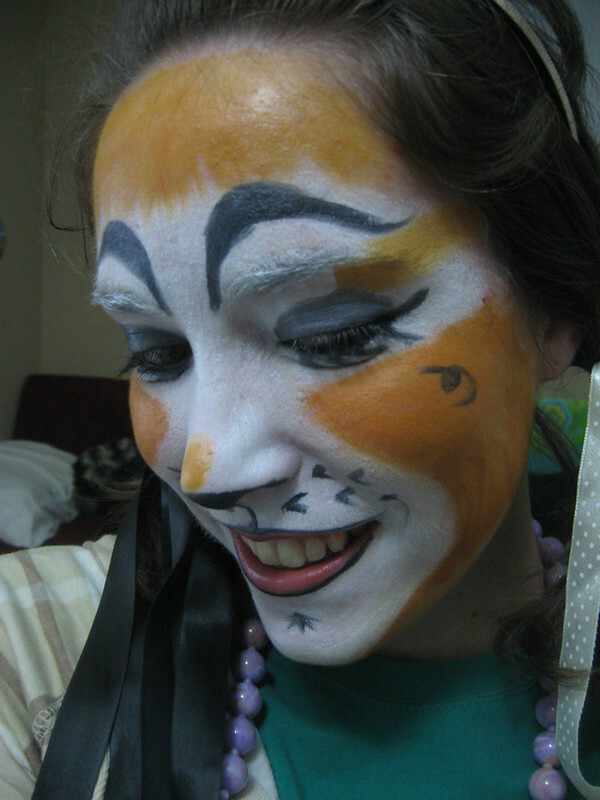 My second Cats makeup of 2010 was the Gumby Cat, Jennyanydots. 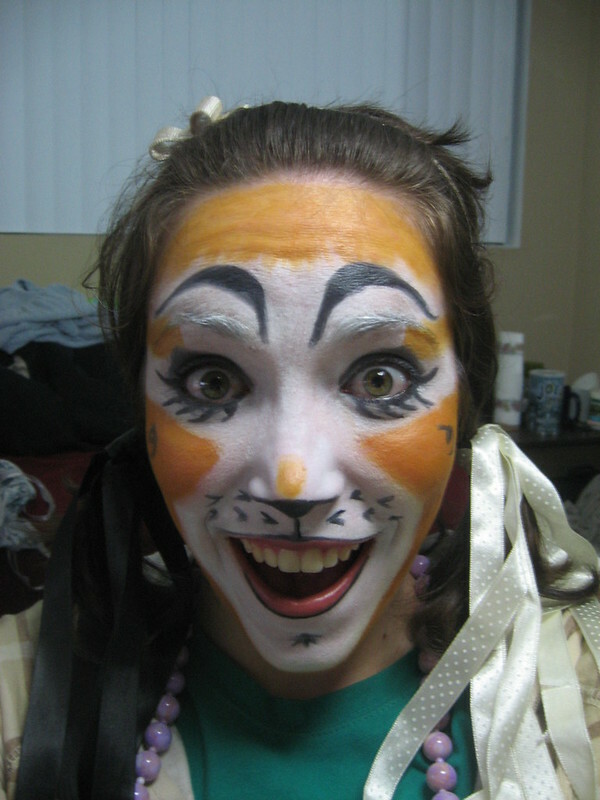 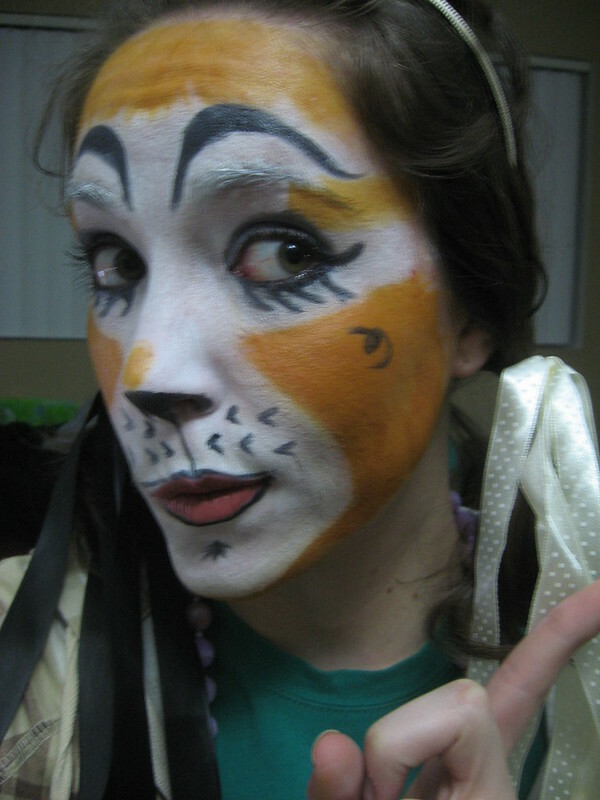 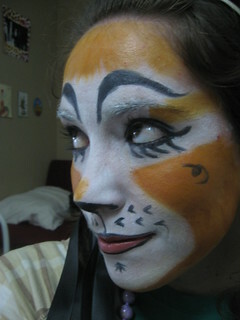 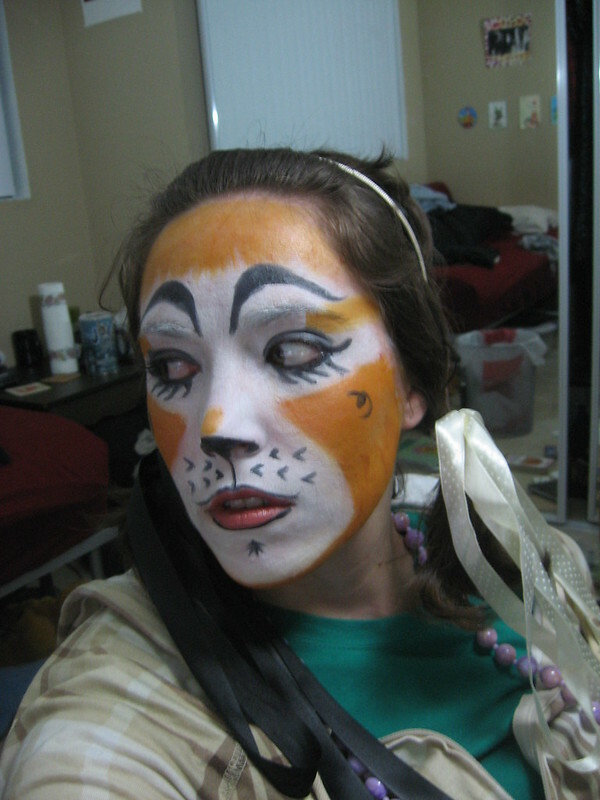 Seeing as she's a Jellicle who shares my name, and I'd never attempted her makeup design, I tried it out. 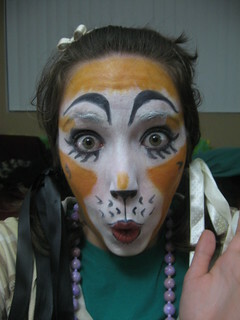 I did the video version design and I was quite pleased with the result if I recall correctly.